Today is the day I head down to London for my Makelight photography workshop, and Blogtacular! I’m so looking forward to it, I’m trying very hard to keep a lid on my excitement, but it’s not easy! I’ve taken a break from packing my suitcase to share my outfits that I found this morning. 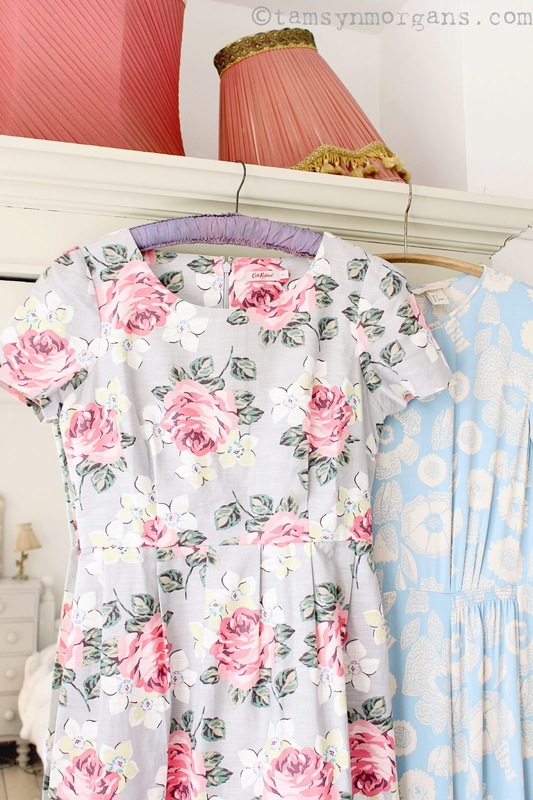 I couldn’t believe my luck when I found this gorgeous rose print Cath Kinston dress on the sale rail – it fits beautifully and I shall wear it to Blogtacular on Saturday. I’m a dress or tunic over jeans kinda gal, so I’ve got some thin grey jeans (not ready to get my pasty legs out!) and some pumps to wear with it. 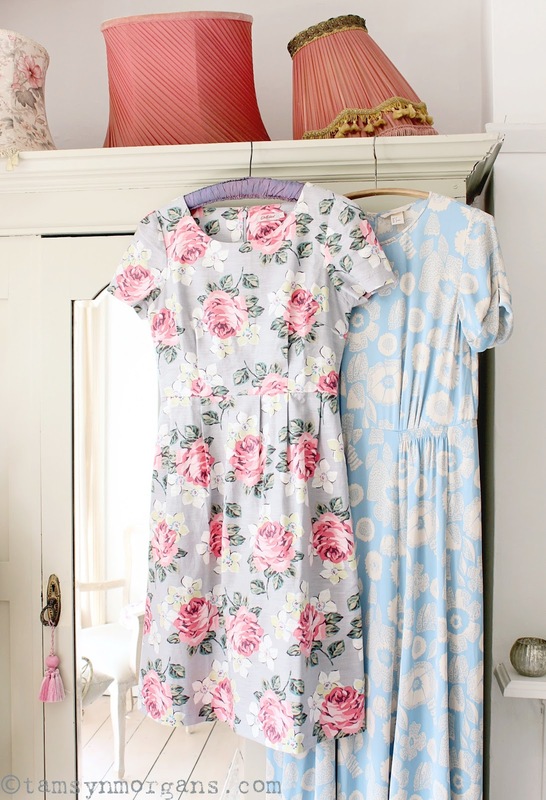 The blue dress on the right is from H&M, and has a bit of a 1930’s vibe, so pretty. I’m wearing that one to the Blogtacular welcome party tomorrow night. As I’m in London I wont’t be posting here for a few days, but will take stacks of photographs to share with you on my return. As always, you can follow me on Instagram here to see what I get up to over the next few days! Next Post Thank You London.